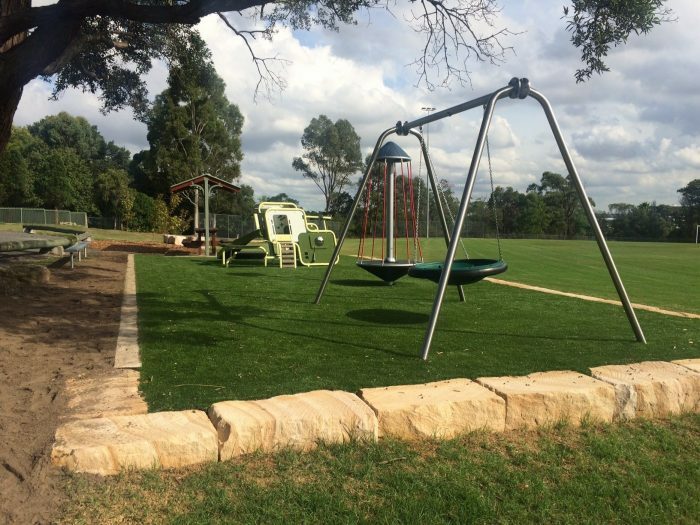 Also known as Hazel Ryan Oval, Speers Road Reserve attracts walkers, soccer players in the winter, cricket enthusiasts in the summer – and nature loving residents! 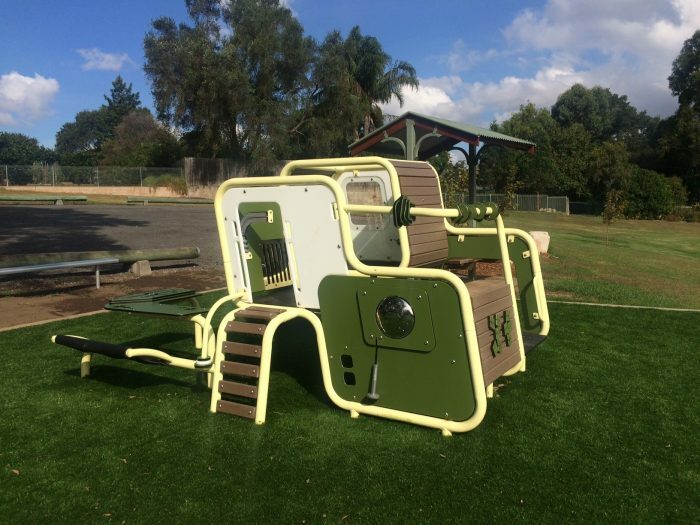 The Hills Council was looking for something for the younger children and was impressed with the amount of activity contained within the small footprint of Landscape Structures’ SmartPlay Cube. 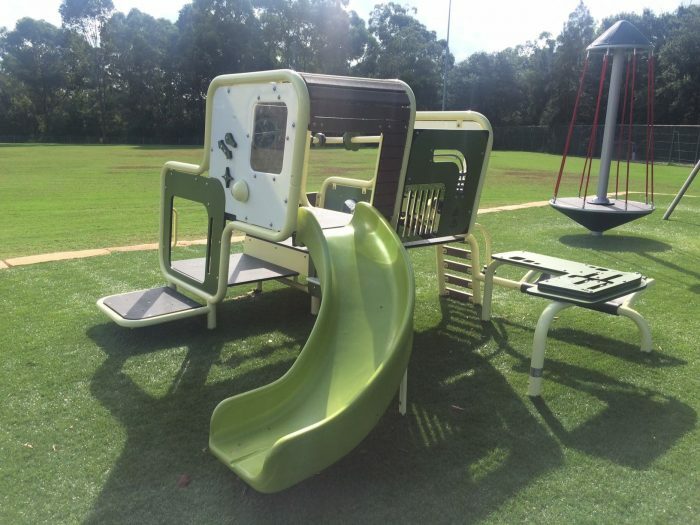 This unit has been designed to specifically meet the needs of toddlers with 14 activities packed into a compact space, including Steel Drum, puzzle panels, arrow panel, slide, table panel and activity bench, mirror panel, magnet stack, arch climber, ladder rail disks, steering wheel and crawl through panel. 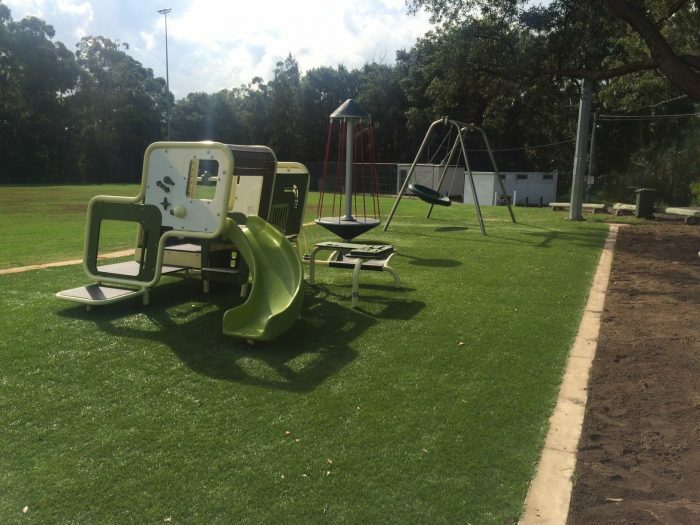 And the best part is its sustainable design with 73% post consumer recycled Permelene used to create table tops, seats and activity components. 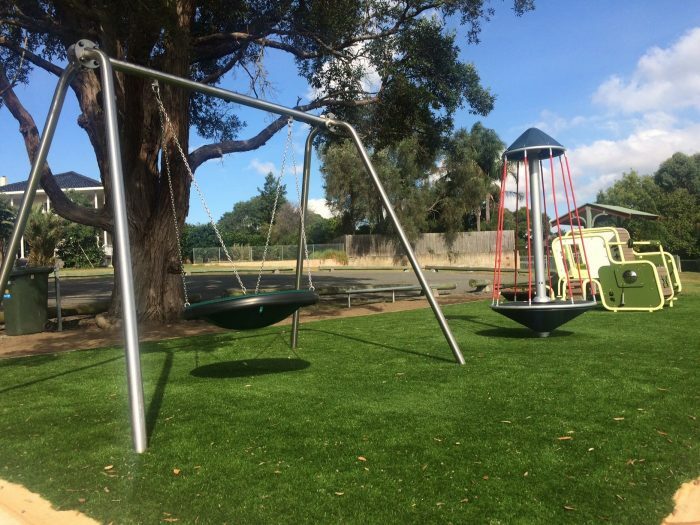 In addition, a multi user Team Swing and Topsy Turny Spinner have been included to keep children of all ages engaged and create a holistic playspace that stimulates the senses.